mso-ansi-language:EN-US;mso-fareast-language:EN-US;mso-bidi-language:AR-SA">At Madhuram Dental Clinic �Ethics before Profit� & �Excellence with ethics� are the two main ideology we follow from bottom of our heart. Both Dental surgeons are result oriented as well as patient friendly, such that it can alleviate the fear for dental treatments. Madhuram Dental Clinic is Multi-Speciality Dental hospital based at - Town Olpad in Surat District, Gujarat. Madhuram Dental Clinic created with a mighty combination of ultra modern dental technology and well experienced dentists - Dr. Archana Rathod And Dr. Dharamvir Chauhan , Both are dental surgeons from reputed college. Dr. Archana is dental surgeon from G.D.C. Mumbai which is one of the most reputed Dental Institute in India. 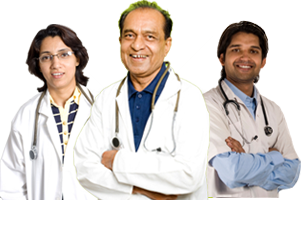 Dr. Archana has served at various places like R.C. Gandhi Trust Hospital, Pujan Dental Clinic. She also served as visiting faculty in several dental college of Gujarat. Dr. Archana is known for her accurate treatment with patient friendly attitude. She healed more then 6000 patients from dental pain & complex dental issues. With rich experience of more then 6 years & know how of advanced technology; Dr. Archana become popular among patient community. We have air-conditioned Treatment Room with ultramodern facilities. We are looking forward to provide treatment to our patients in safe environment of warmth and compassion. --No treatment bias or charge differences between NRI or Local patients with complete transparency. --Virtual Treatment Planning. ( Send your Problems, X �Rays, other medical /Dental Details and we will plan & schedule for fast , accurate and comfortable treatment. --Fast treatment by long Appointment and dedicated team of Doctors, Laboratory technicians and Staff. --As India/Gujarat is rapidly emerging as reputed place for dental tourism for patients from USA, CANADA, UAE, UK, AUSTRALIA, Etc...for their dental needs especially dental treatments which are exorbitantly costly in their home country .Our patients have realized that their sum total of airfare, dental treatment costs, touring and even shopping in INDIA, has been at least 8 to 10 times less than just the treatment costs in their home country . --Rich experience of DR ARCHANA RATHOD and DR, DHARAMVIR and state of the art technology at MADHURAM DENTAL CLINIC offers to the INDIAN NATIONALS, NON-RESIDENT GUJARATIS, NON-RESIDENT INDIANS, and FOREIGN INDIVIDUALS, highly professional dental services of international standards garnished with a soothing, pain relieving warmth and personalized care.